Pergola Kits are cost effective and are designed to minimize waste of timber. We can deliver to all areas of Adelaide and beyond if need be with special freight arrangements. The question asked by many home owners is what style should we build? 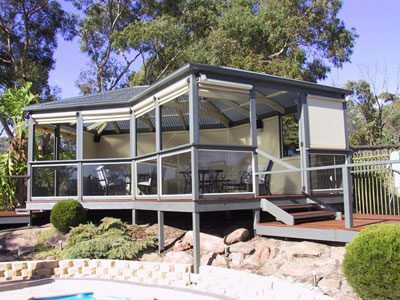 Over the years trend has changed and the traditional flat roof Verandah has been shadowed by larger more elaborate outdoor entertaining areas with gable roofs, hips, bay ends, Pvc Blinds and the like. 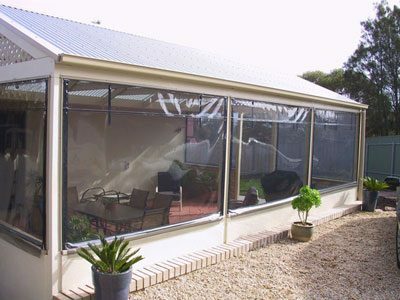 A straight forward Flat or Skillion roof Verandah, or a traditional open ended gable still is very practical for many homes and properties where a basic need for some shade, shelter from the rain, somewhere for the BBQ, or a place for the kids to play. This is when we can provide you an economical approach to your project in the form of a KIT. We can promptly custom price a kit to suit any home, attached or freestanding, Shade cloth, Polycarbonate or colorbond roofing. Below is a list of the kit sizes that work best with minimum waste, choose your size, contact us and we can quote for the materials required to construct your job suited to your particulars.